Penny Siopis lives and works in Cape Town and is honorary professor at Michaelis School of Fine Art, University of Cape Town. 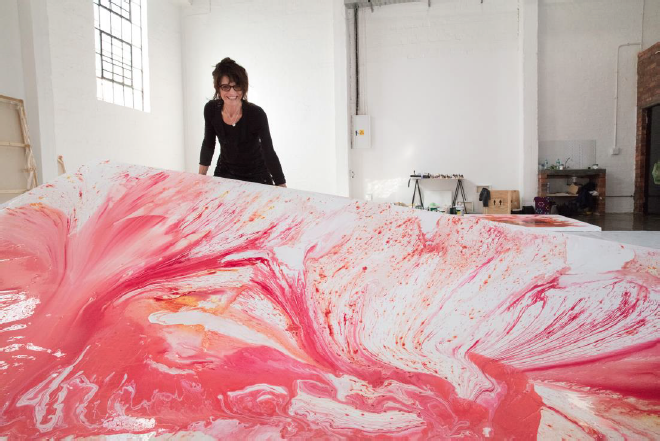 She has exhibited widely locally and internationally and has taken part in the biennales of Venice, Taipei, Sydney, Johannesburg, Guangzhou, Havana and Kwangju. A major survey of her work, Time and Again: A retrospective exhibition by Penny Siopis, was presented at the South African National Gallery, and Wits Art Museum, in 2014 and 2015. Recent solo exhibitions include Restless Republic, Stevenson, Cape Town, Incarnations, ICA Indian Ocean, Mauritius and Penny Siopis: Films, Erg gallery, Brussels, and work was included in the recent group exhibition South Africa: The Art of a Nation, the British Museum, London.